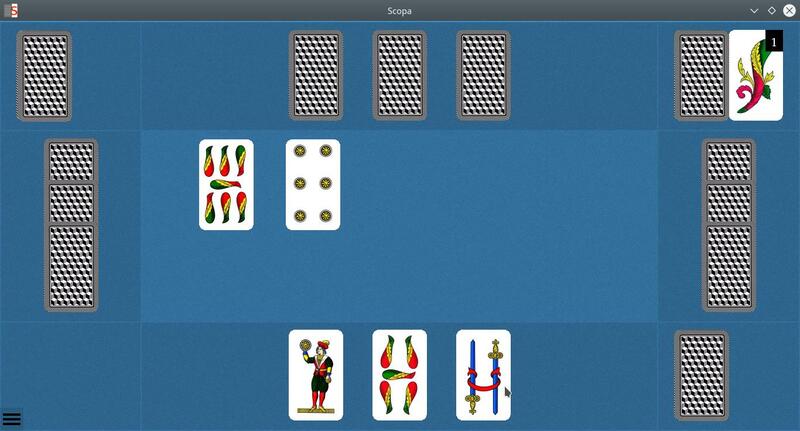 Scopa is free software: you can redistribute it and/or modify it under the terms of the GNU General Public License as published by the Free Software Foundation, either version 3 of the License, or (at your option) any later version. Sources are available online on Savannah. 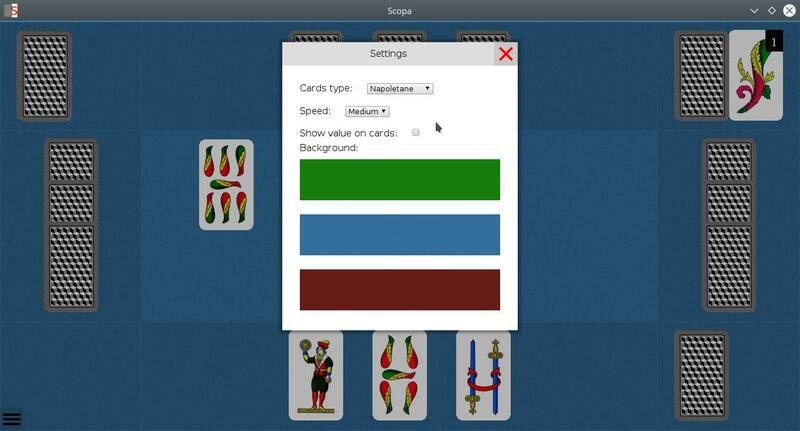 Scopa is hosted on Savannah, you can submit bug reports and patches there. 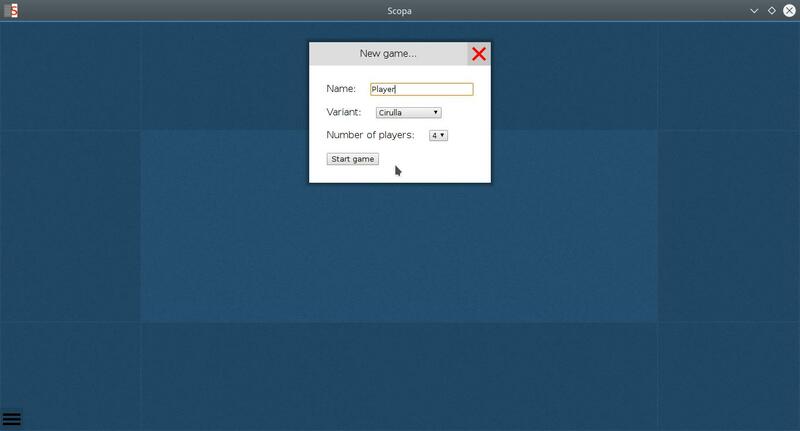 If you want to enter the team, to provide new graphics or to add a new language, please contact the developer. 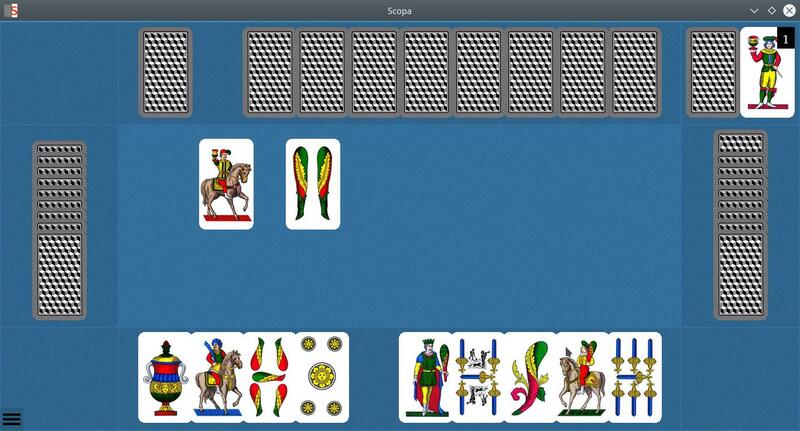 We use the free software Weblate to translate Scopa. You can help with translations here.